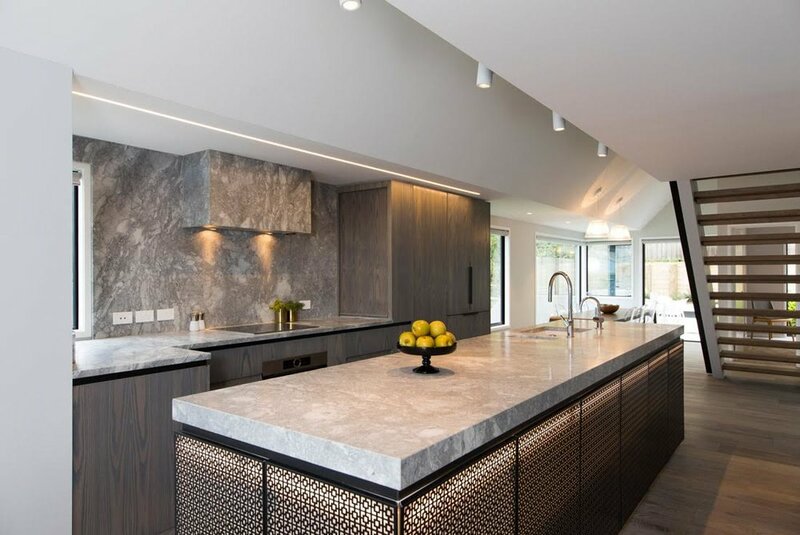 This architecturally remodeled home has been extensively reclad and refurbished using a palette of quality materials and excellence in the detail of its construction to give cohesion to the whole. 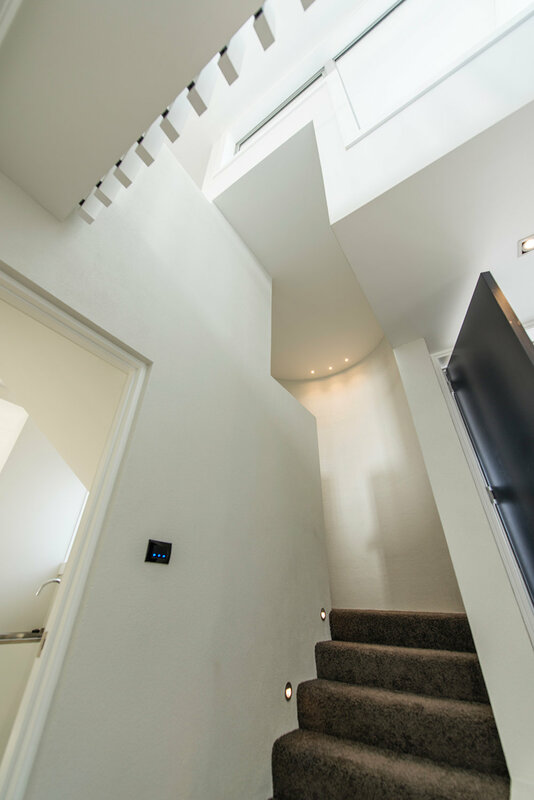 A glazed entrance gallery serves three downstairs bedrooms. Sliders offer the first connection to outdoor living. The bathroom employs interesting architectural angles. Timber stairs add a natural edge amid soft grey and white. Upstairs is devoted to open-plan living with easy flow to generous alfresco living, including a built-in barbecue. The kitchen is a custom-designed showpiece. Its bespoke island bench borrows material from the feature front door. The master bedroom’s walk-through wardrobe takes its cue from the wood-grain kitchen joinery. 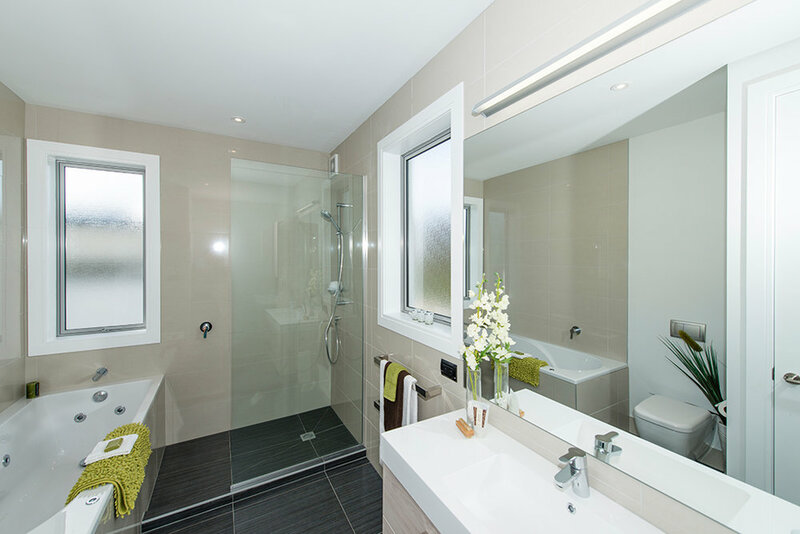 The tiled ensuite features a modern bath/shower combo. The pinnacle of this design is the glazed office mezzanine nestled into the home’s apex; which is skewered superbly by a black steel beam. This home was a high quality detail build where no expense was spared. 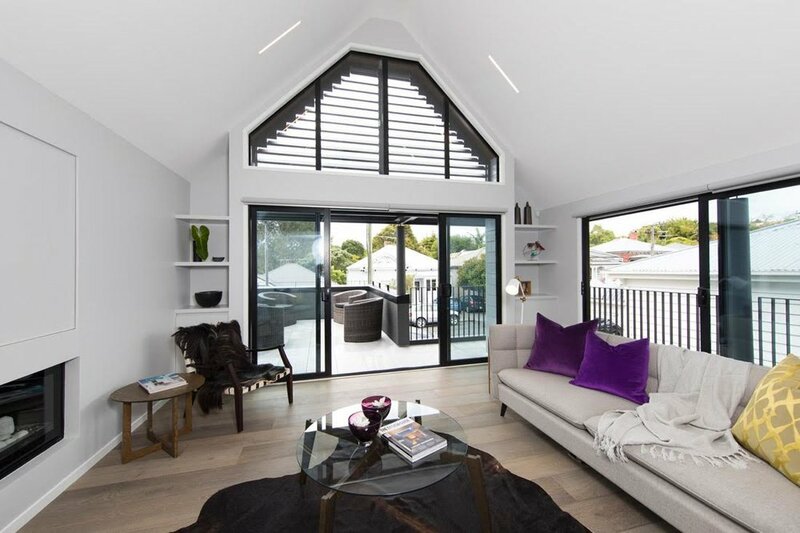 Omega Construction removed all of the internal walls and strengthened the home with structural steel beams to create a large open plan living space which extends the length of the structure. Only the highest quality fittings were used and the home is fully automated. Extensive use of louvers direct the natural lighting. 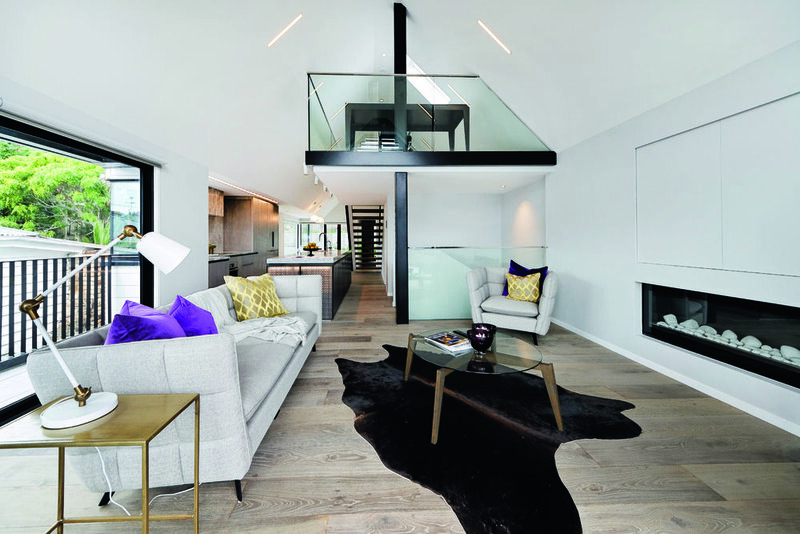 Omega Construction's work in transforming this property resulted in a phenomenal, award winning refurbishment. 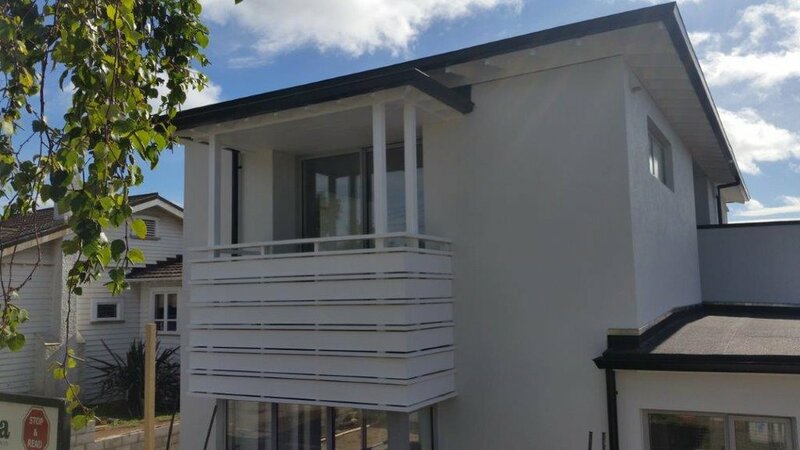 This development was the result of a fairly simple brief from the Owner to the Architect: "maximise the site with homes that are of high quality; that look good, but are practical to live in." The original home on this property was a big part of the family history; as such it was important for the Owner that it remained intact. 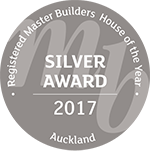 The home was sold to a Building Removals specialist and in 2015 and was relocated to a small town in the Waikato, where it remains today. These two, two-storey homes were constructed on a site measuring only 660 square meters overall. The structure of the homes are solid concrete including all walls and floors. 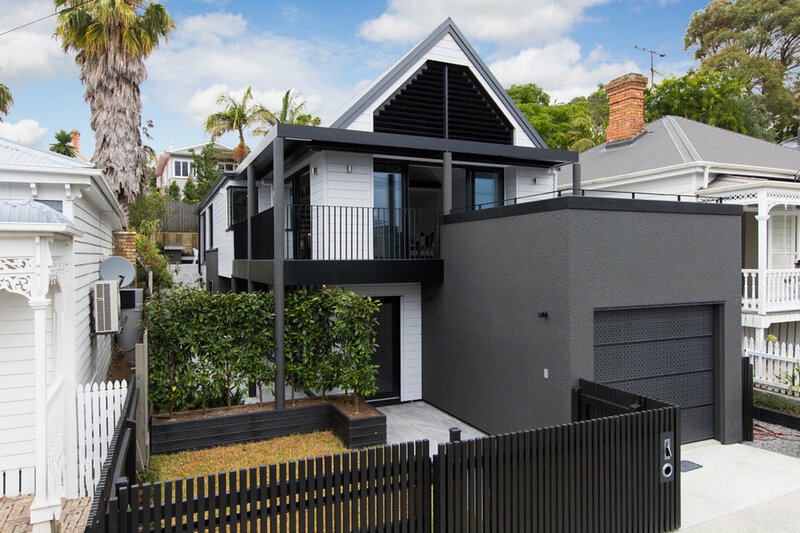 While a modern style they fit effectively into the existing old established street format. 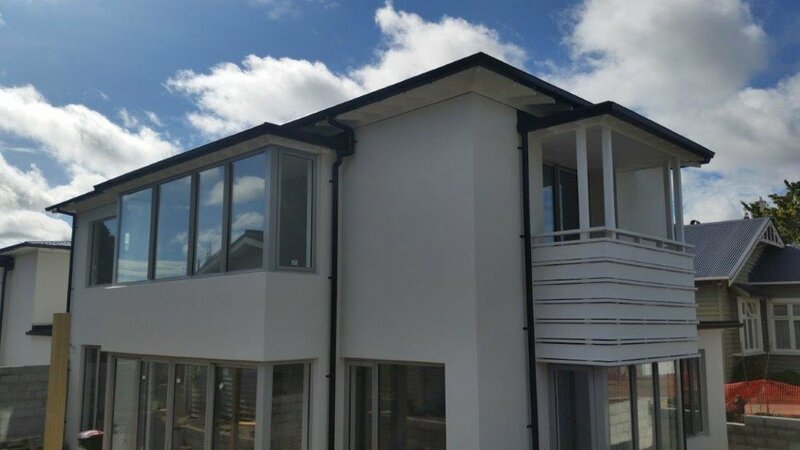 These solid homes were successfully completed to specification and will last the test of time.